Winter in Ontario provides excellent birding opportunities regardless of which part of the province you live in. Bundling up and braving the elements at this time of year will certainly reward you with some great sightings of multiple bird species. Several species breed far to our north, but migrate to Southern Ontario to overwinter, making winter the only time of year to view them in our area. 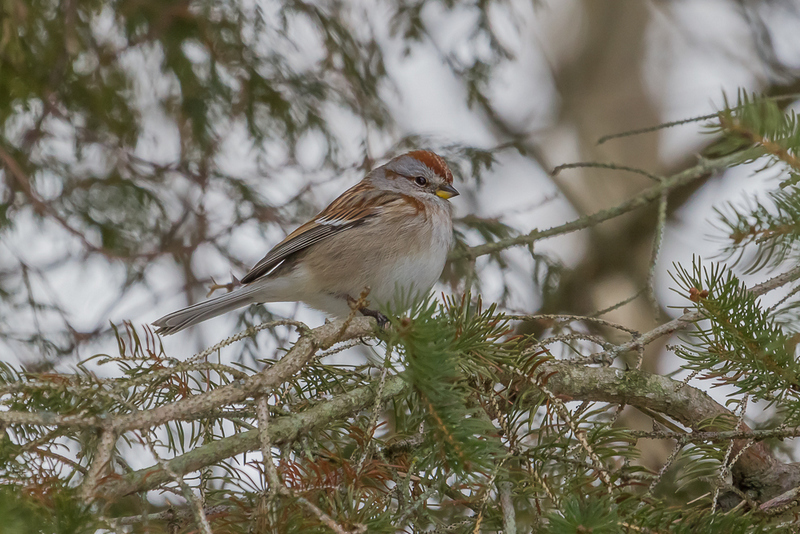 Many people with backyard bird feeders will notice Dark-eyed Juncos, American Tree Sparrows, and several finch species like the Pine Siskin appear during winter months. So why not just enjoy winter birds from the comfort of your living room? Many of the more unique and rare species of bird that overwinter in Southern Ontario do not regularly frequent backyards. Among these are Owls, Northern Shrikes, and several species of waterfowl. If you want to see these birds, you are going to have to get out there. Fortunately, Ontario is blessed with many provincial and national parks that offer amazing birding opportunities to observe these winter migrants. Some of the more popular parks for birding in southern Ontario include: Presqu’ile Provincial Park, Algonquin Provincial Park, Pinery Provincial Park, and Point Pelee National Park. 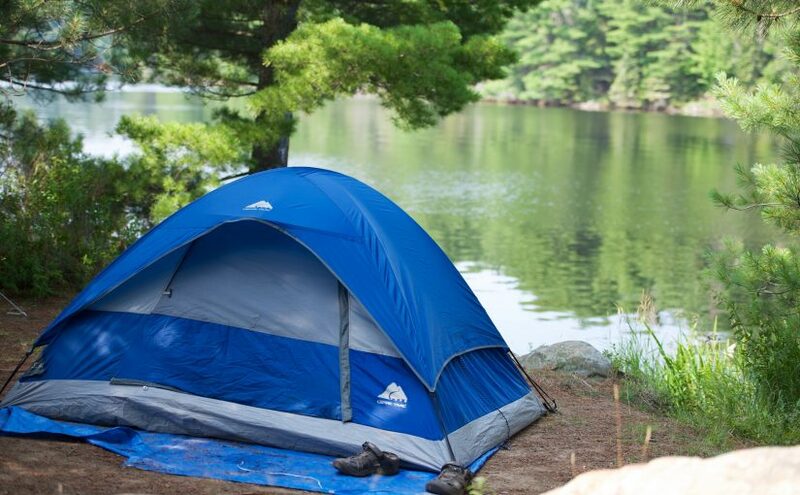 Ontario parks offer large, undeveloped, natural environments with a wide variety of habitat that attracts many birds. Owls are some of the most sought after birds to observe during winter months, with the Snowy Owl being tops on the list. These birds breed in the high Arctic where they feed mainly on Lemmings. During winter they are found across Ontario, preferring open habitats that mimic their summer range such as fields and beach dunes. These Owls are mostly white with black markings, and are sometimes difficult to spot in the snow as they quite often sit on the ground. 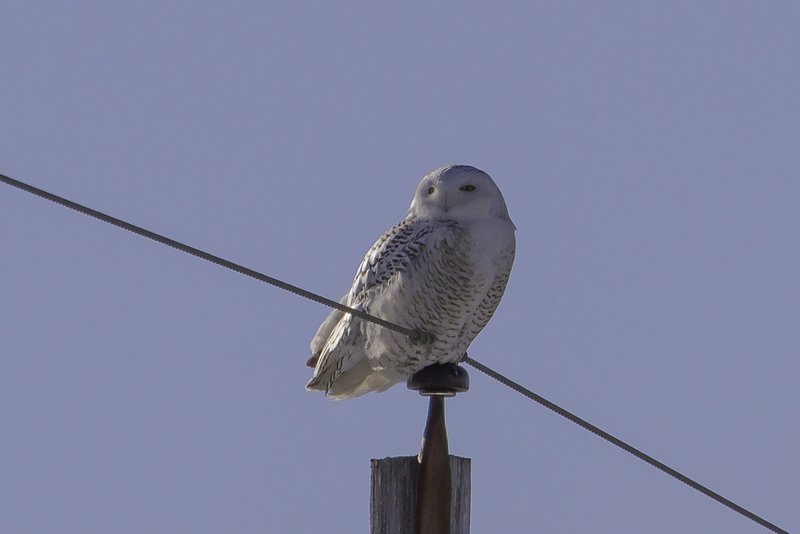 Fence posts and hydro poles are also popular perches for this large Owl. Birders and photographers alike flocked to Algonquin Provincial Park in previous winters when reports of a Great Gray Owl came in. This large earless Owl is normally found in Northwestern Ontario, but is known to migrate to Southern Ontario during harsh winters in search of food. Other popular winter Owls In Southern Ontario are the Northern Saw Whet Owl and Short-Eared Owl. 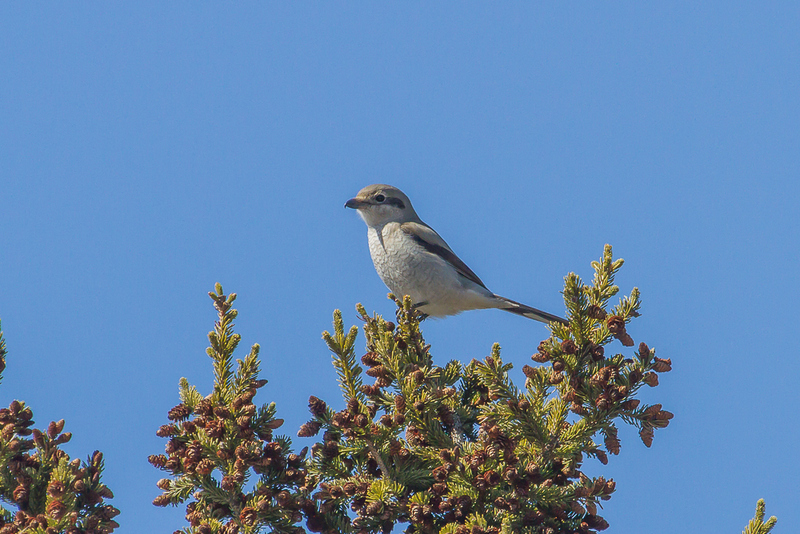 The Northern Shrike is another species that breeds far north across the taiga and tundra but overwinters in Southern Ontario. This bird is unique in that it is a predatory songbird, feeding on small rodents such as mice and voles as well as smaller songbirds. Shrikes often impale their prey on thorny trees and barbed wire fences. These birds will kill more prey than they can immediately consume, storing it for later. Look for Northern Shrikes during winter months in open areas with adjacent tall trees for perching. 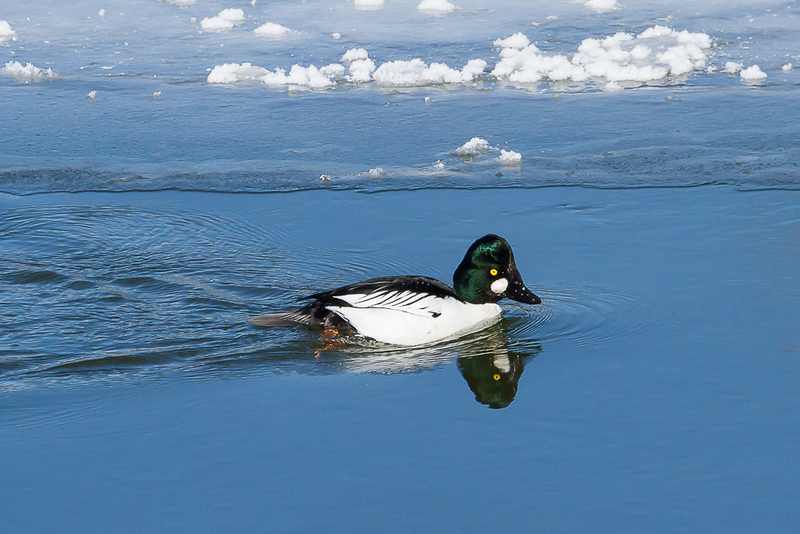 Winter is the best time of year to view the widest variety of waterfowl throughout Ontario. A large number of ducks, geese, swans, loons, and grebes breed to our north and west, making many of these species nonexistent in Southern Ontario during summer months. Many of these species feed on fish, snails, crustaceans, and aquatic plants by diving beneath the surface. For this reason, open water is key to their survival. 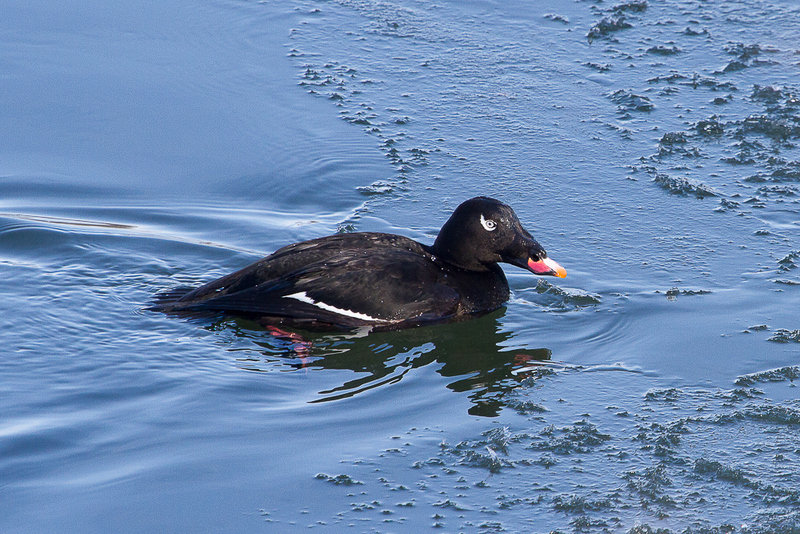 Canvasbacks, White-winged Scoters, and Long-tailed Ducks are some of the species that draw birders out to local water bodies during winter. These species can be observed all winter long close to shore in the Great Lakes, again with Presqu’ile Provincial Park and Point Pelee National Park being popular destinations. Many fast flowing inland rivers are popular with multiple waterfowl species. Several Merganser species as well as Common Goldeneye are frequently observed in these areas. The Thames River flowing through Komoka Provincial Park in Middlesex County is an excellent place to view these and other winter waterfowl. Parks throughout Ontario provide perfect habitat for locating multiple species of overwintering birds. With easy access, ample parking, and kilometers of marked trails the possibilities are endless. When dressed appropriately, winter provides some of the best and only birding opportunities of the year. This winter I encourage you to bundle up and head to your local provincial or national park to discover the wonderful birding that exists in Ontario.